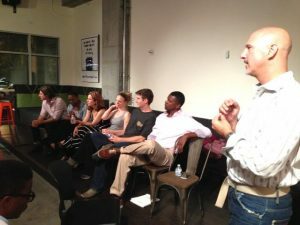 After each staged reading and production, A Public Fit hosts The BUZZZ – a discussion of the play, its themes, imagery, history and impact. The BUZZZ offers an insightful dialogue between the audience and the artists involved and is integral to A Public Fit’s dedication to creating opportunities for audience participation and interaction. https://apublicfit.org/wp-content/uploads/2018/11/APF_TheatreCo_Logo_5th_Anniv_NEW_C2R10F_OUTLINED.v1-1030x515.jpg 0 0 Ann Marie Pereth https://apublicfit.org/wp-content/uploads/2018/11/APF_TheatreCo_Logo_5th_Anniv_NEW_C2R10F_OUTLINED.v1-1030x515.jpg Ann Marie Pereth2017-01-20 16:21:212019-02-20 11:48:01Be a Part of the Conversation!